CONSTANCE NADEN may rightly be described as one of Birmingham’s most illustrious daughters. 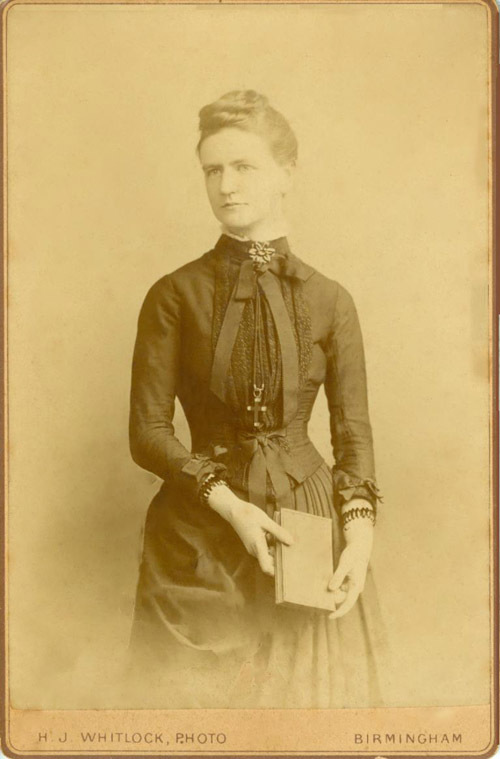 Hers was a uniquely interdisciplinary Victorian voice. Naden’s insightful and witty poetry and polemical prose writings regularly drew upon her wide-ranging scientific education at Mason College (now the University of Birmingham) where she was honoured as the first female Associate. A gifted poet, philosopher, and scientific thinker, Naden was at the forefront of women’s intellectual progress at the end of the nineteenth century. Her memory and her work live on in the University of Birmingham where the Constance Naden Medal is awarded. 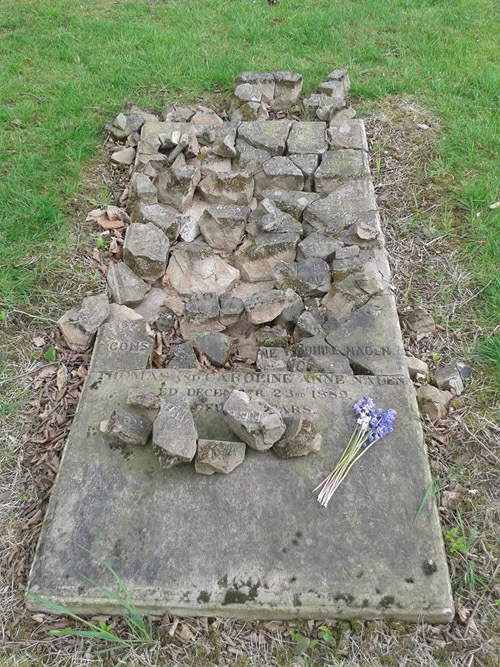 Yet her gravestone and memorial, in the Jewellery Quarter’s Key Hill Cemetery, lie in a sad disarray of broken fragments as can be seen from this recent photo. It is clear that it is past the point at which restoration can be undertaken, and a new memorial must be created. 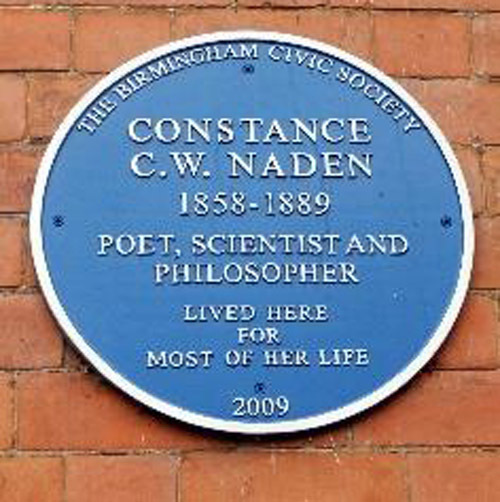 Such a re-habilitation of Naden is no more than she deserves, cementing her place as a notable Victorian thinker and daughter of Birmingham. To facilitate the replacement of this broken memorial, the Constance Naden Trust has been formed. The Trust is inviting donations in order to raise the £4,000 needed for this important contribution to Birmingham’s cultural and intellectual history. We are pleased to announce that the ‘Friends’ have managed to donate £250 towards the new headstone repair set up by Dr Clare Stainthorp who is an expert on Constance Naden and her works. Also, Colin Giles who helped uncover the broken headstone also gave £25 – a personal donation – to help the Constance Naden’s cause. The Friends were able to help with the Constance Naden appeal due to those who have supported the Friends, this includes two generous donations, one from The Creative Jewellery Group Ltd, plus another generous donation from the Wooton Family in memory of Jean Barrett and her daughter Christine (this was in lieu of flowers at Jean’s recent funeral). Also, Greg Fattorini who donated 50 badges to the Friends and Marie Haddleton who helped to secure this order. All donations to the Friends goes into cemeteries, this includes guided tours fees, open days and history fairs, plus the sale of badges, novelty bone pens, etc. We are the only group who restore the graves including the upkeep of the cemeteries. New volunteers for physical work in the cemeteries are always needed. 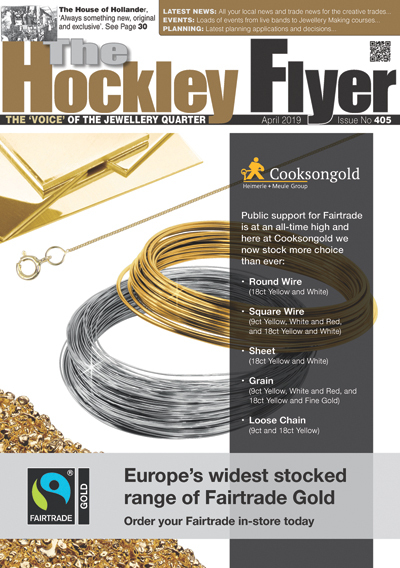 It is with thanks to our colleagues, Friends and the Hockley Flyer that we have another person who has requested to join the friends. Combine your visits to two or.